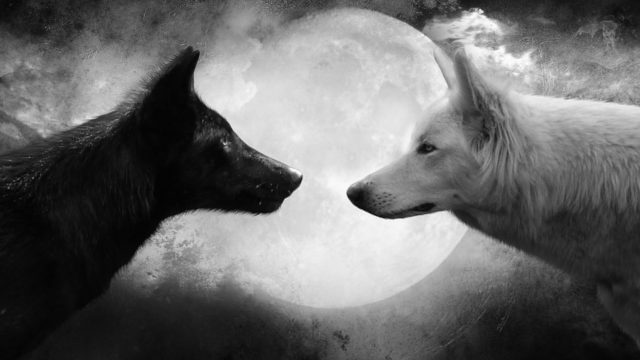 Home blog Who will you feed: the Wolf of Love, or the Wolf of Hate? Can Buddha’s brain give us any insight to help empower South Africa’s youth? In Buddha’s Brain: The Practical Neuroscience of Happiness, Love & Wisdom (2014), Dr. Rick Hanson explores the contemplative practices of Buddhism through the lens of modern psychology and neuroscience to answer two questions: “What brain states underlie the mental states of happiness, love, and wisdom?” and “How can you use your mind to stimulate and strengthen these positive brain states?” If we can correlate states of the brain with desirable mental qualities (David Chalmers’ “easy problem”), then it’s fruitful to consider what practices to pursue to bring about those states while minimising undesirable ones. Thankfully, most will go through life and never actually see a brain, but have faith that it’s there humming along, doing its thinking thing: you. Learning more about that squishy grey stuff between our ears is revealing new ways modern minds can come to ‘know themselves.’ Peace is possible through practice and knowledge, we’re are told, and the neuroscience behind it is compelling. There are many insightful gems to be mined in Buddha’s Brain, so I would recommend it to all, but here I wanted to highlight the gist of one chapter in particular I think simply and powerfully conveys an idea that could help empower young hearts and minds. By being mindful throughout your day about how you’re reacting to events in your life (good, bad, neutral), you can, quite literally, change your brain in such a way as to cultivate control over your own states of mind (which reminds me of a quote from Oscar Wilde: “It is what you read when you don’t have to that determines what you will be when you can’t help it”). The late, great Nelson Mandela touched on the same principle in his autobiography, Long Walk to Freedom: “No one is born hating another person because of the colour of his skin, or his background, or his religion. People must learn to hate, and if they can learn to hate, they can be taught to love, for love comes more naturally to the human heart than its opposite.” Madiba spent twenty-seven years in prison; we know which wolf went hungry. You can read more about Dr. Hanson’s description of these two forces pulling at our heartstrings on his website (Feed the Wolf of Love and The Wolf of Hate), and if you’re intrigued by the ideas shared here, you may want to explore other books like Mind Wide Open, Buddhism as Philosophy, Waking Up, Buddhism Without Beliefs, The Ego Trick, and Mindfulness in Plain English. I think sharing this imagery with young hearts and minds (along with the science of mindfulness) could help them cultivate peace, love, and compassion from within. Diminishing the effects and frequency of violence (against oneself and others) through knowledge and practice is an invaluable and empowering pursuit. Students can also make it personal and have some fun by imagining their own ‘spirit’ animal (I personally try feed the fox of love), but the point is to become more mindful of the tensions within us all, and, naturally, to choose wisely.